Raaga.com: After ‘Sufi’, Lata Mangeshkar sings ‘Rock’! 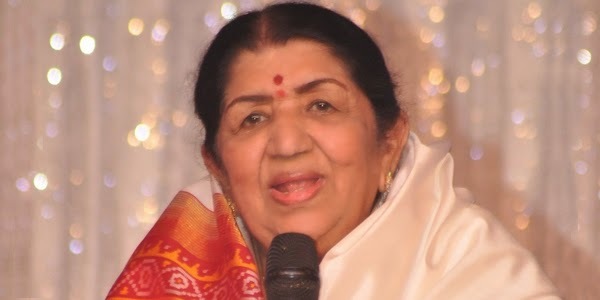 After ‘Sufi’, Lata Mangeshkar sings ‘Rock’! After signing a sufi song in her nephew Baijnath’s album YA RABBA Lata Mangeshkar has recorded a love ballet set on western rock beats! Her diversity at this age testifies why she is called the doyen of playback singing in the universe. What is more stunning is that she has recorded the song in a marathon 4 hours of grilling session! The song Jeena kya hai, jaana maine, jabse tumko jaana hai…. is a heart rendering ballet that she has recorded for the movie DUNNO Y… NA JAANE KYUN 2, which is a sequel of internationally acclaimed movie DUNNO Y… NA JAANE KYUN (2110) based on gay relationship. Nikhil Kamath, the composer of the song said that Lata Mangeshkar had sung the song Pal mein rishtey badalte hai… in the original movie hence we wished to have her sing one song for the sequel too. According to Nikhil convincing Lata didi to sing a song is a hard nut to crack but when he called her to take an appointment she was overwhelmed by the few lines that Nikhil sung to her over the phone. The music video of the song will feature Zeenat Aman, Kapil Sharma, Yuvraaj Parashar, Pakistani actress Sadia Khan and a few European actors. The sequel like the original will focus on gay issue but this time it is triangle love story. The movie will be produced by a Norwegian production house, The Hungry Hearts and will be directed in association with Tonje Gjevjon and Sanjay Sharma. The movie is being made in three languages: Norwegian, English and Hindi.